This unit is in good condition for a 1991 Bus. It has recently had new carpet installed. onboard is a washer dryer, convection microwave, stove, and fridge All work well. Air conditioner too The structure is in nice shape for the age and the paint shows well. Stock #167747 Angola with 500 HP Detroit Diesel & Allison transmission! New Carpet & upholstery! Washer/Dryer & convection oven! If you are in the market for a bus conversion, look no further than this 1991 MCI Angola 40, just reduced to $50,446. 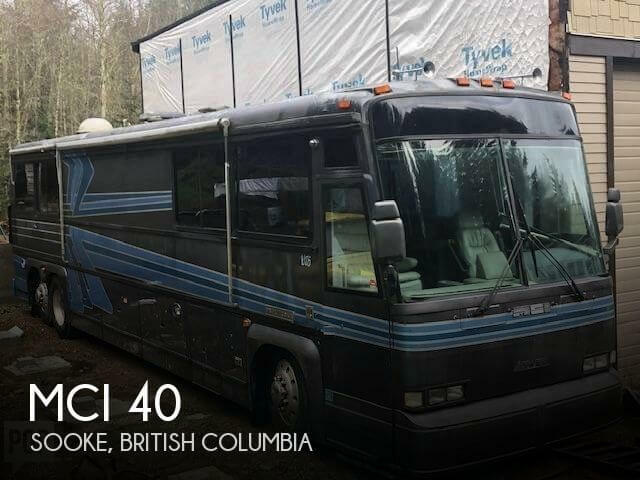 This Bus Conversion is located in Sooke, British Columbia and is in good condition. She is also equipped with a Detroit Diesel engine that has 160,000 miles. Reason for selling is passed away.